Lawns by Murphy is proud to produce compost and soil products onsite, in the absence of any chemical additives or fertilizers. Our Manalfa Blends and Bloomin’ Crazy brands of soil and compost have been staple products of Lawns By Murphy. We provide the highest quality soil, rock, clay, topsoil, manure, compost blends, and mulch in the Oklahoma City area. Including Top soil, manure, and clay. As a fully permitted and recognized composting facility, we are proud to work and produce our compost and soil products onsite, in the absence of any chemical additives or fertilizers. Over 50 years of experience have allowed us to perfect our process and deliver standard products to our customers. The Manalfa Blends and Bloomin’ Crazy brands have been trademarked products of Lawns By Murphy for decades, allowing ample time to fine tune our process & provide the highest quality organic soil additives and amendments. If you are looking to buy top soil, top soil in bulk, compost, manure, or any of the products we sell, call us for additional product information as well as delivery and pick up options. Plants need to have enough energy available to promote healthy growth. 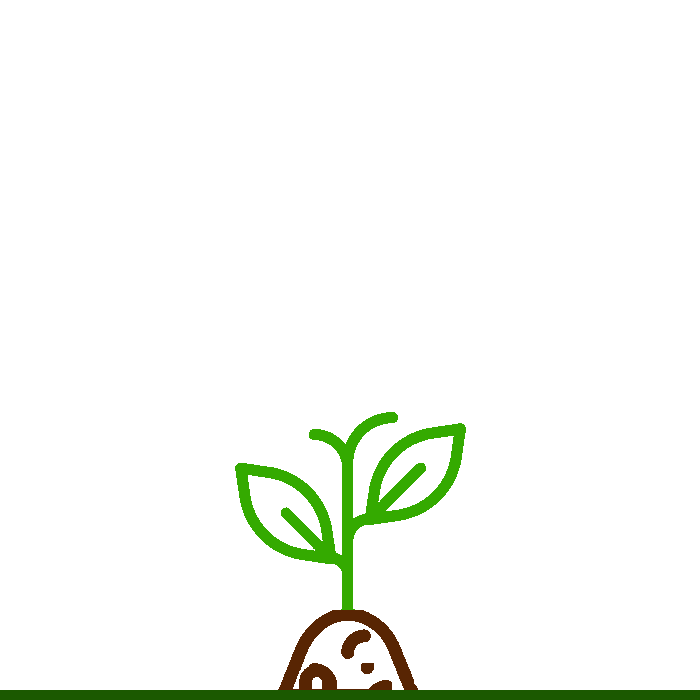 Tilth and porosity are important. Adequate structure can lead to good nutrient and moisture uptake, leading to a healthier planting environment. To promote plant growth you need to have the correct amount of high water quality moisture. With these three general characteristics in mind, we happily work with our customers to find the perfect product to fulfill their unique needs. 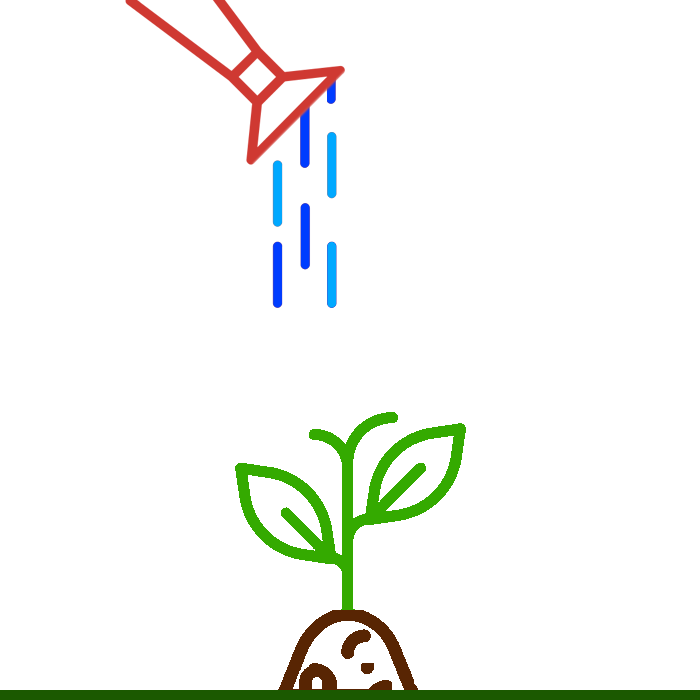 Different soils require unique amendments to boost productivity. For productive planting, the key traits listed above must be considered. A pulverized and screened soil blend, which includes the Murphy rich top soil as well as our compost. This ready to use product is formulated to improve plant growth for flower beds, vegetable gardens, seed beds, leveling and top dressing lawns. Get back to basics with this mineral rich Loam, a perfect blend of sand, silt, natural clay and broken-down organic matter - called humus. Our product is screened before loading and will provide the nutrients needed to promote consistent growth. Wash sand is a fine, soft & clean product. It is perfect for blending with screened topsoil for creating a sandy loam, compost for top dressing, or clay for ball field mixes. 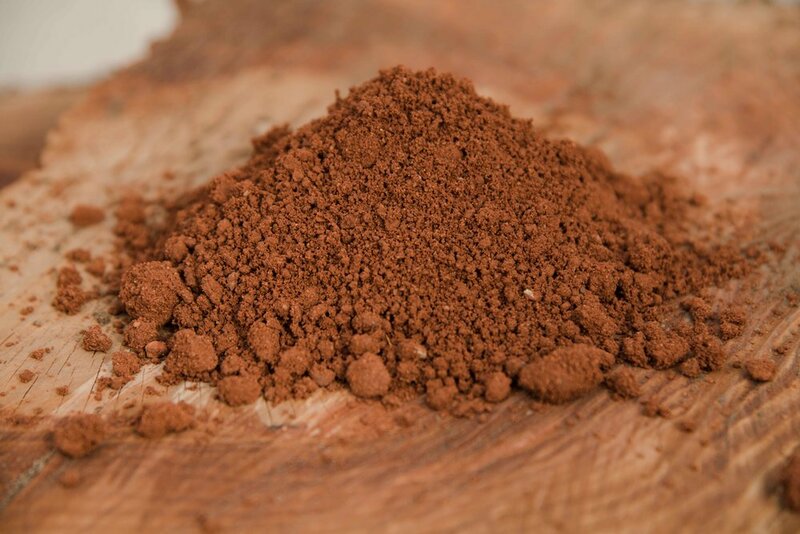 Our organic red clay is a well-recognized starting point for many building projects including: foundations, pond liners, tennis court & ball field mixes. These fine organic products are rich in nutrient and perfect to be used as a soil conditioner, a fertilizer, a natural pesticide or erosion control, land reclamation, landfill cover and wetland construction. Our composting process is closely monitored with measured additions of water, air and carbon - and nitrogen-rich materials as guided by our certified compost operations manager. A hearty, dark product consisting of fully composted green waste that is turned and processed through a trommel screen continually throughout the aging process. This compost holds the Seal of Testing Assurance from the US Composting Council. A light colored blend derived from the combining and aging of stable cleanings, manure, and a slight amount of green waste. When fully aged, this blend is processed through a trommel screen. This compost holds the Seal of Testing Assurance from the US Composting Council. A full bodied blend of three products, with repeated fine screening makes this the darling of gold course management. Beginning with a 3/4 to 3/8 inch trommel screen, Cotton Burr Compost, Alfalfa Compost and Aged Manure are individually screened. The final recipe takes hold and the products are combined and pulverized in the Terra XTREME to homogenize the components. The final step is a pass through a fine vibratory screen, then directly into the truck for delivery. Ours is fully aged and is a natural food source for the microbes that provide nutrients. High temperature aging kills weed seeds, pests and destructive pathogens, leaving a nitrogen rich plant food. Our premium compost and compost blends offer the highest quality at the best price. If you are looking for a compost rich in growth boosting nutrients, try any within our line of 100% organic, premium compost products. At no point in the process, is any chemical or fertilizer incorporated into the product. Our Manalfa Blends will provide structure, moisture retention, porosity, and nutrients to help improve growing conditions in depleted planting environments. The Manalfa Blend has been trademarked by Lawns By Murphy for decades, allowing ample time to fine tune our process & provide the highest quality organic soil additives and amendments. With nitrogen, iron, calcium, and other minerals, Alfalfa can replenish depleted soils quickly and efficiently. Fully composted manure is added to the blend to help improve soil tilth and drainage. Consisting of cotton burr hulls that are aged and composted to provide a nutrient rich soil additive. Our cotton burr compost is a proven way to add more drainage, nutrient retention, and water absorption qualities to any planting environment, without causing nitrogen tie up. Manure is a natural food source for microbes that provide nutrients. High temperature composting kills weed seeds, pests, and plant disease killing pathogens, leaving nitrogen rich plant food. This mix of alfalfa, cotton burr and manure is a nutrient-rich soil amendment. Use this compost blend to heal over-used soils. 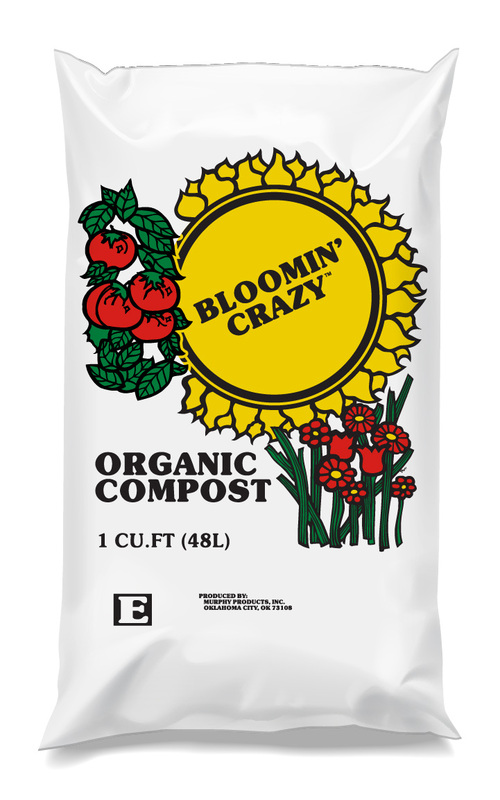 Bloomin’ Crazy brand compost, soils, manure, and sand offers everything to make your lawns & gardens happy. As with everything we produce, our Bloomin’ Crazy products are chemical and fertilizer free, offering an organic means of bolstering plant and soil health. This mineral rich product is the perfect foundation for a productive garden, flowerbed, or lawn. This Organic Compost is aged at high temperatures to eliminate unwanted seeds and insects while providing a stable, nutrient rich product. Our aging process reduces unpleasant odors and related issues associated with the use of raw organic materials. Steer manure is an excellent ingredient for building healthy and productive soils naturally. 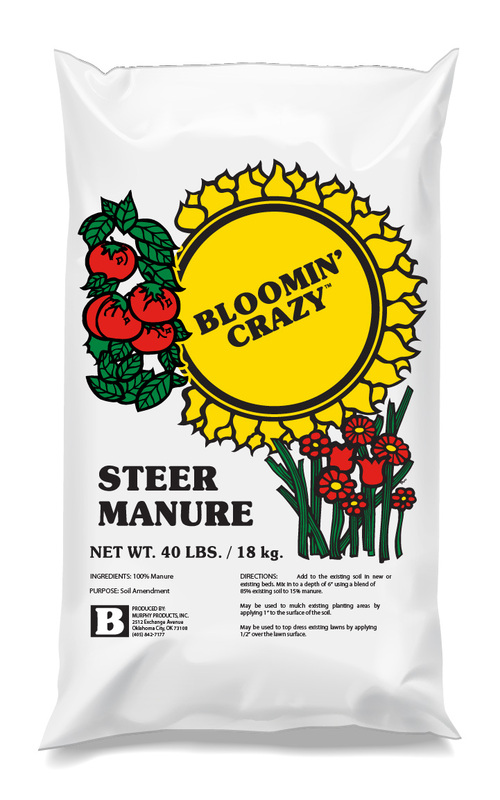 Unlike many brands, Bloomin’ Crazy provides a healthy growing environment with steer manure that has been fully aged and composted. Our aging process ensures that the beneficial nutrients contained within steer manure are delivered at precisely the right maturity level.